So many things have happened in the past 6 months. Difficult things and good things. Where do I begin. It's weird I can't remember a clear time line but just facts. Let's just see how much I recall. I was diagnosed with Diabetes the first of January...not 6 months ago but it is never ending. Good news is that I first was testing 6.9 on my A1C and I think in August at my 2nd class we checked again and it was 6.3! This was a really positive direction for my health. I cheat though...a lot. Will it catch up to me...not sure but as of today I'm better than I was. I quit smoking! I never spoke of this because hey a stroke survivor who smokes? BAD is all I could think...truth is too I was afraid of that judgement. I am so proud though...my Doctors as well. 🙂 I've had ongoing back issues for the last year...it usually "goes out" as I call it a couple of times a year...which means steroids and pain meds. So one down I think back in March and now (started 2 weeks ago) I have different symptoms. This time it was about 3 days of steady worsening that pushed me to call the Dr. This time is different though (heck I sorta wasn't sure what it was). It started with really severe skin sensitivity in my hip, left bum, and a little in the lower left of my stomach (seemed like female pain). Over the next 3 days it traveled from there to down the side of my leg, through my knee, down my shin, and the top of my foot to 2 or 3 distinct toes on my left foot. Skin sensitivity; dull, achy burning and pain that was always present. I went to the Dr. and he examined me making me move my leg certain ways and explaining the symptoms vividly. He is certain it is coming from my back. It makes sense, I have a bulging disc (centrally toward my spine) in the L4/L5 area of my lower back. He says he believes my bulge has expanded pressing further on my nerve root. We are trying things to reduce my inflammation. I also have had ongoing chronic hoarseness since February and been under the care of an ENT...still no resolution. I also have a lump on the right side of my neck. It aches a little and worries me but my Dr. sent me to get a CT scan and says all is ok...still there. I also have had recurrent painful episodes under my left ribs from front to back. CT for that as well and for lack of better terms I'm full of s**t 💩 (sorry had to 😬)...I'm working on this continually. Ok got all of the health stuff on to the next. Oh and I lost 10 lbs. since last year and my hopes are I haven't gained it all back! 🤗 Ok on to my dad. He found out he has lung cancer earlier this year and has just completed his radiation and chemotherapy. He goes for a rescan in November although I thought it was sooner. He seems to be doing well. My step mom is still collecting/hoarding and i still have tremendous anxiety from it. She also has been recovering this past year from surgery due to hypoparathyroid issues. Much better now but it caused brittle bones, calcium leaching from her bones which in turn caused several hairline fractures around her ankle and lower leg area. She is better now but 2 weeks ago had to have rotator cuff surgery. I've pretty much been caretaker and it's beven exhausting. This is getting better also. My brother was found deceased under strange circumstances about 3 months ago maybe. Needless to say my GAD went really out of control. Worsening depression, anxiety and panic attacks, hallucinations (visual and audible)...pretty much a mess. The autopsy and any further investigation are still not final. My mom became executor of his estate. My niece (his daughter) was majorly pregnant at the time but has since delivered a healthy baby boy. She named him after my brother her dad Troy. 🙂 My mom has worked so hard to figure his stuff out; he owned 3 businesses and owed a lot of money. Almost 400,000 on his house, over 18,000 for his truck, several workers salaries, and his estate is now in probate so all who feels they are owed can file a cLiam...court stuff and lawsuits. We found out he had no life insurance. He possibly may owe more than what his estate will make not sure yet. My sister and her husband are selling their home and taking over payments for my brother's. It's a beautiful 3 story home with a big pool and some land as well as a very nice detached garage he used as his company space. We found homes for his 5 dogs...yes 5. His river friends held a benefit and auction in his name to help pay some things. Tomorrow is his estate auction (other than the house). I thought everything would be auctioned except for what his daughter kept and the house that my sister's buying. This week I talked to my mom...my brother had 2 bedroom suits with mattresses and very high end living room furniture. When I asked my mom about those things (can't sell mattresses) she told me my sister is keeping them. She is also keeping the living room furniture and I think the new patio furniture still in boxes. 😕 So this is where I'm not liking myself. I know I of course could not buy the house. I do, however, need a bed, table and chairs, a tv, and living room furniture. I'm hoping to be able to find a place of my own and move my belongings into it but those are the things I don't have. Not sure if I will be able to get these things. Just take it day by day and pray. My sister has all these things already. A bed (several), a dining set, several tv's and 2 sets of living room furniture. It sorta hurt my heart when my mom told me. I haven't been offered a thing. Any leftover money is supposed to be inherited by my niece, my brother's daughter. I was told about a month ago that Troy would have nothing left for her to inherit. I'm torn in a way...I so desperately need certain things that I can't get on my own right now, my niece is probably getting no inheritance other than some clothes, kitchen items, and a watch. My sister is buying his house so that is certainly not something she is being given but she is being given at the very least a bed, living room furniture, and probably a table and chairs and a full set of outdoor furniture (yes she already has this as well). If you don't know, I was adopted and I guess have my own issues from that. So I feel left out I guess. Not included. Jealous maybe. Needy. Mad at me for feeling any of this. I never expected to get something of my brother's. I also never expected my sister would either...if anybody I expected my niece would. I'm ashamed. Hurt and ashamed. Tracy I’m so terribly sorry about the diabetes. Don’t beat yourself up about being bad. It’s like stroke, it will take time to figure it out for yourself. Secondly you go girl! So super proud of you giving up the fags! A major accomplishment! Maybe once she’s moved all her stuff she’ll realise all the double and triple ups. Feeling ashamed shows me what a kind hearted, warm, caring person you are. Today is so bittersweet for me. The auction was almost 6 hours and now it's done. Only the house left and the things left in it. I locked myself inside while it went on...just me and the quiet. I'm avoiding people because if anyone talks to me I am fighting to not cry. I'm ashamed to say I still feel really bothered by what my sister is keeping. I am mad at myself for being this way. I don't understand my own feelings. I wish I could give you a big hug. I agree with both of the comments. I would be hurt, upset and angry too. Keep in mind all of you are grieving and nobody is thinking clearly. Your sister may well see that when she moves, that she doesn't need some of the things she is keeping. I don't know what your relationship is with your sister. Perhaps when she starts packing to move, you may be able to ask her if she is giving anything away, would she give you a call to see if there is anything that you could use before she gives it away. You certainly have a lot on your plate, and it's amazing to me that you are coping as well as you are. Be proud of that! And quitting smoking on top of all the stress- well, that's a HUGE accomplishment!!! Don't feel bad about how you feel, there is no shame in having feelings. Don't be mad at yourself. You have suffered a loss, and it seems there isn't a lot of recognition of that, as your entire family is grieving. Keep venting, we are all here for you. Love yourself and do not be let down. Families are notorious for causing hurt sometimes so protect! Heal! Material things come and go. Don't worry about that old stuff. Someday you will. I am former smoker. It is a hard hard step to do. Congrats! 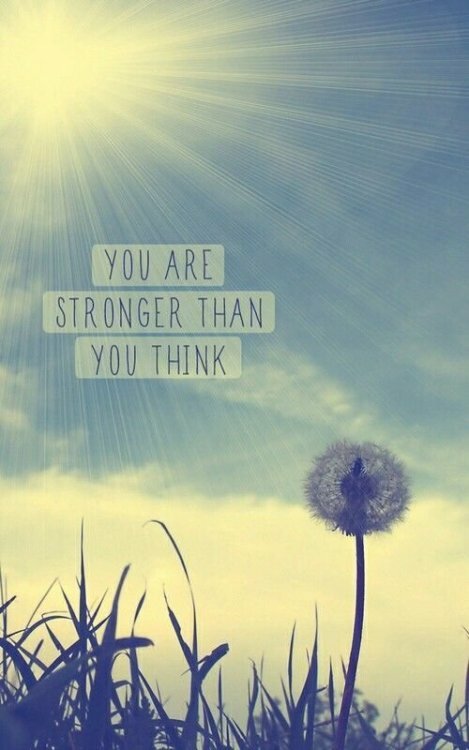 You are strong and Beautiful! Very true Tracy. Sometimes people don't realise/see others needs unless/until you ask. Especially if you haven't asked before, and they think you have everything you need where you are. Sometimes a friend might ask if there's anything they can do for me before they leave. You betcha, you can open this tin of beetroot. You can put the pillowcases on my pillows. You can put this bandaid on my sore. Not quite furniture I know, but I think it's similar. Because Tracy has managed thus far, everything must be fine in her world. Yep it does Janelle. I feel so much like I owe others something because they have helped me during this. I put on a pretty ok mask. I don't ask for things...even if I should. That IS my fault. I believe my mom and sister would help me in any way they can. I suppose it's a part of me that I hide...that I need help. I hate even saying it. I'm having a breakthrough...must make note to tell my Psychologist lol. You guys are the best. It’s been said in a different thread about not wanting attention. That could be part of it as well. Maybe something else for the psych? So pleased for you Tracy. It's a huge step forward. Other people can't read your mind! and allowing yourself to ask for help is not an imposition on others. I wish I could get my Mum to realise that! 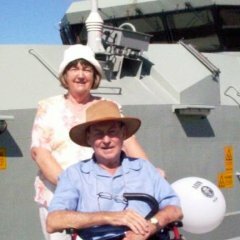 She is going blind (macular degeneration) and still won't ask for help when she needs it. I thought I was bad on that one but it turns out I'm only a minnow compared to her. Tracy you rock! I am so thrilled that you took the risk and talked to your family. It is a much bigger step than you realise.